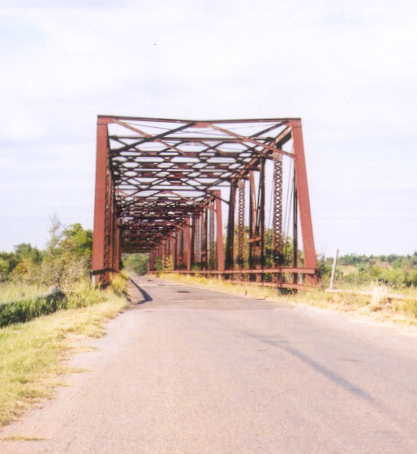 The structure shown below consists of 7 135' pin-connected and riveted Pratt truss spans and a 120' riveted pony truss span. 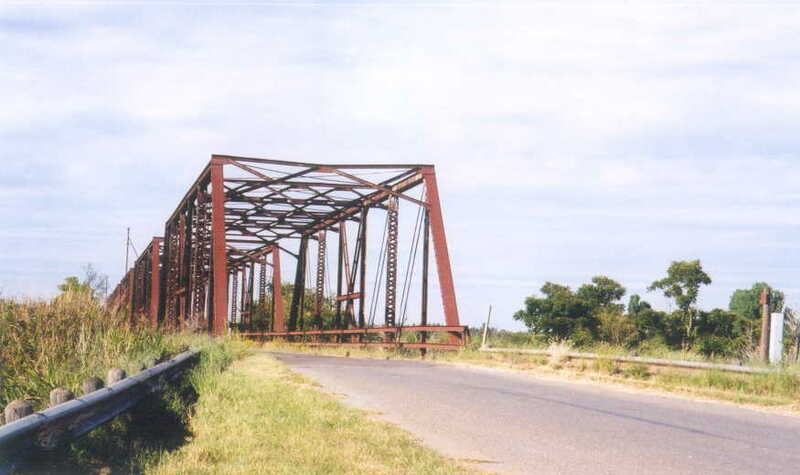 This bridge was built in 1921 by The Pioneer Construction Co., which was under control of The Canton Bridge Co. management. The photo below is the south end of the bridge. Below is the south portal of the middle through span. 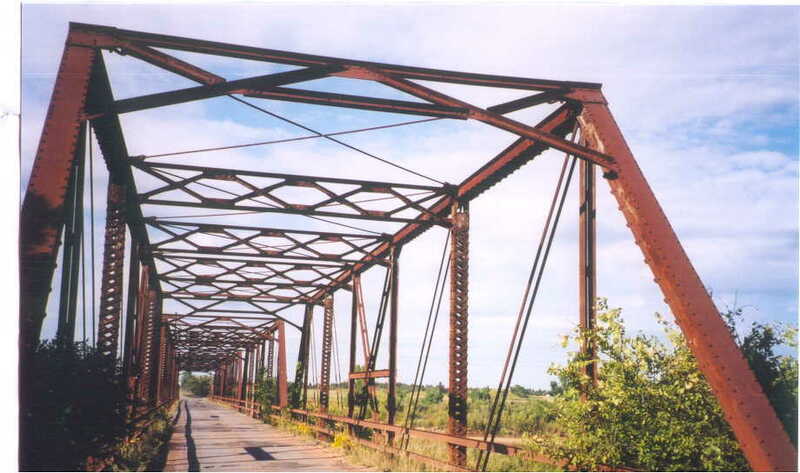 The vertical compression members of this span are double laced; the same members on the other thru spans are single laced. 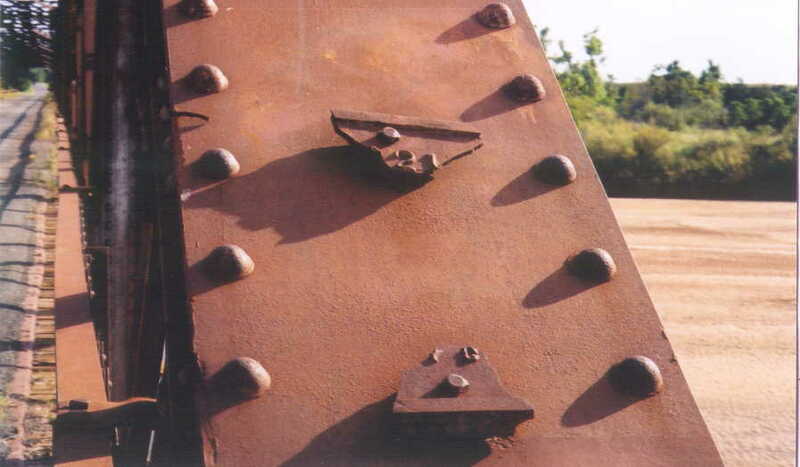 The above picture is of the remains of the plaque mounted on the end post of the pony span. The '21' is probably the last two digits of the year. Below you can see the plaque and the pony span at the north end of the bridge. 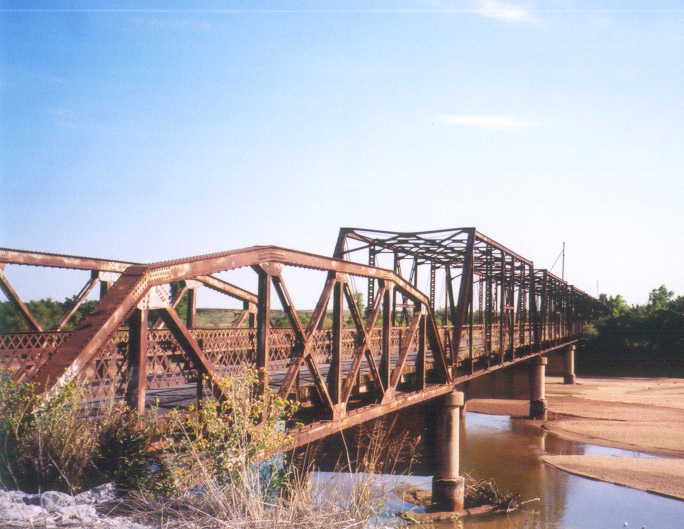 The sand choked Cimarron flows under this end of the bridge, the rest of the structure crosses flood plain. Finally, a view through the bridge. The pony span can just barely be seen standing here looking thru the structure.